Serve this frozen yogurt with fresh raspberries for a festive dessert. Prepare an ice cream maker if using. If not using, omit this step. Combine Splenda Sugar Blend, water, thyme, lemon zest and lemon juice in a small sauce pan. Heat to a boil and then remove from heat to cool. Remove thyme sprig. Once the lemon mixture is cooled, whisk in to the Greek yogurt. Pour into the ice cream maker and churn until frozen and thick. Serve immediately and freeze leftovers in a plastic container. 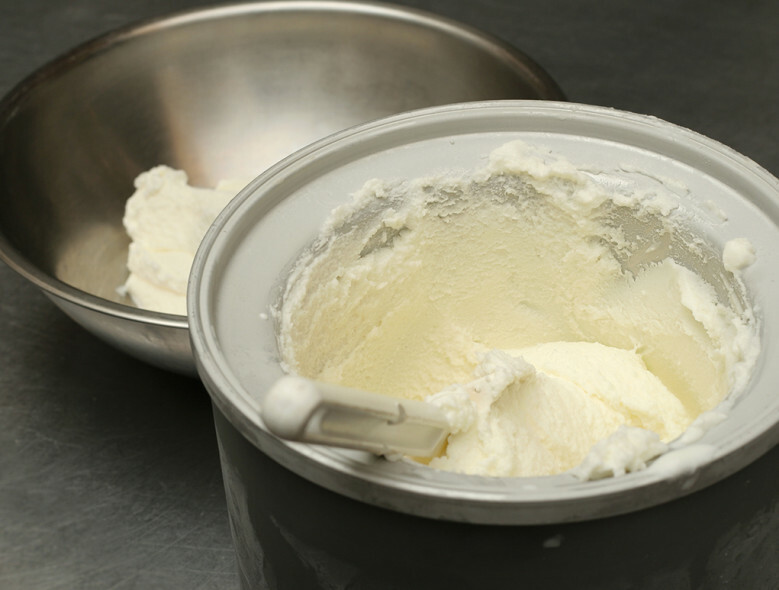 If not using an ice cream maker, whip mixture with an electric mixer or by hand with a whisk for 3 minutes. Add to a plastic container and freeze.